Ubisoft is bringing the Might and Magic series back with Might and Magic Heroes VII, a turn-based strategy-RPG set during a time of civil war in the Holy Empire. With development now underway, the publisher is offering fans of the series an opportunity to vote on two of the six factions that will appear in the game. Might and Magic Heroes VII was revealed with a flashy trailer and swanky website , and while specifics are in short supply at this point—the Game & World, Media and Community sections of the site are all "under construction"—it doesn't look like the game will stray too far from the HOMM formula. In fact, it more or less says so outright in the " What is Might and Magic Heroes VII " section, where it first breaks down the nature of the series overall as a "turn-based strategy game, combining resource and town management with exciting RPG elements," and then adds, "Might and Magic Heroes VII is all of this, and more!" The nature of that "and more" will be revealed in the near future, and in the meantime gamers with an interest in such things can sign up for the Shadow Council themselves, through which they'll be able to "chat with developers, comment, share, interact and influence the content of the game." More immediately, they'll also be able to vote on two of the factions that will have a seat on the in-game Shadow Council; Sylvan and Fortress (that is, Elves and Dwarves) are the current competitors, and in 30 days, two others will take their places. 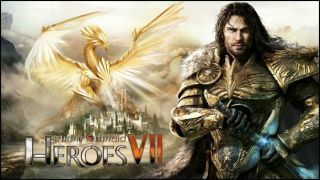 Might and Magic Heroes VII is being developed by Limbic Entertainment, which worked on the previous Might and Magic Heroes game as well as Might and Magic X: Legacy , and is expected to be ready for release sometime in 2015.